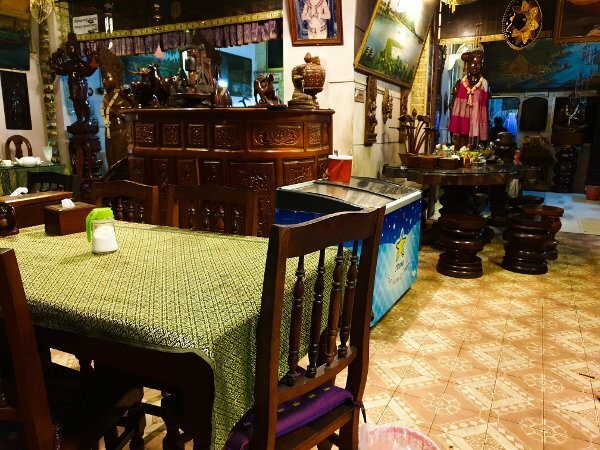 Before I arrived at Phnom Penh, my Cambodian friend gushed about this place. 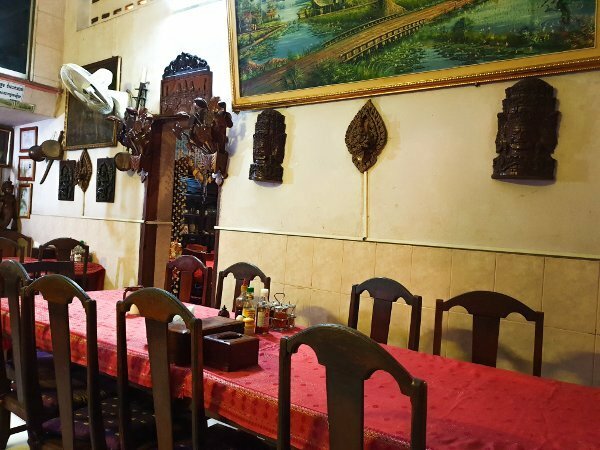 It is one of the very good Phnom Penh Restaurants he said. Many locals, including him, as well as foreigners patronize this eatery. It is also a popular place for people who are in the arts, such as artists, photographers, etc. My friend is a really good photographer. He is well known in Cambodia for really excellent photographs he had taken. I was intrigued, and I made him promise to bring me here as soon as I arrived. He made the promise and he was true to his word. When I arrived, it rained heavily. That did not stop us. So, after an evening of dining, here is my Phnom Penh Restaurants Review – Boat Noodle Restaurant. 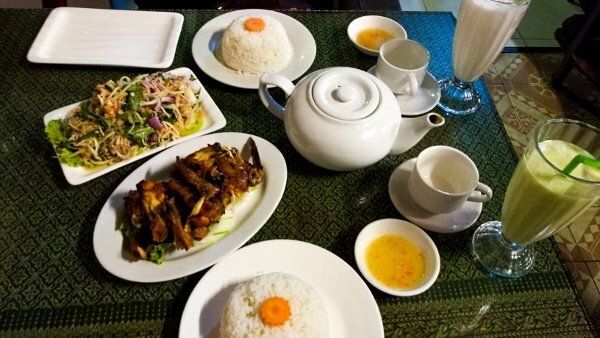 I had wondered about Khmer Food since I started to plan for this holiday. 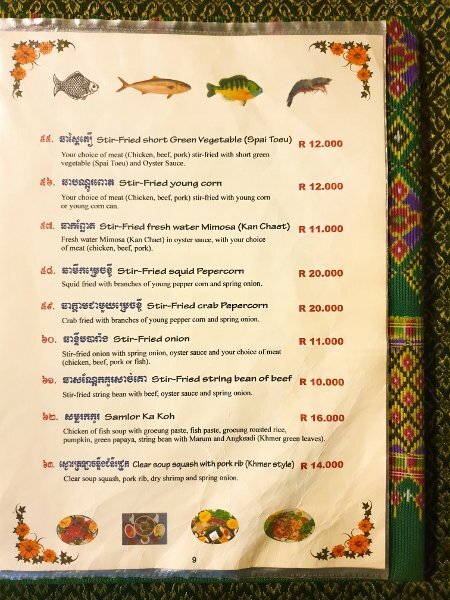 And I was a little surprised that most restaurants do not just serve Khmer Food. 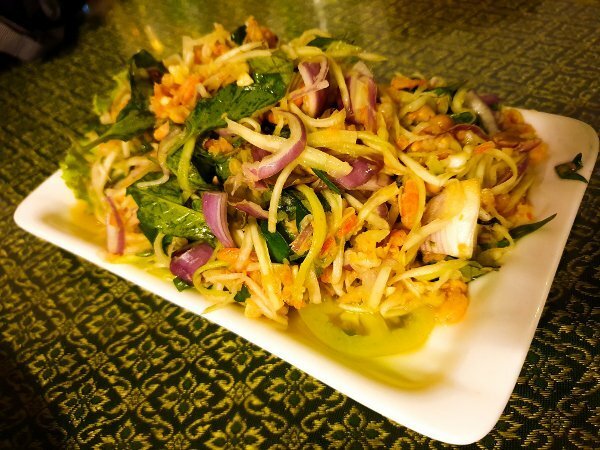 They also serve other foods like Thai Food, Vietnamese Food, Western Food, and others. This Boat Noodle Restaurant was no exception. They served Khmer and Thai Food. And to match, or even communicate, the type of food served, the place is decorated with art, sculptures, handicrafts from these countries. An interesting thing to note is that apparently there is a famous Boat Noodle Restaurant in Phnom Penh. And this is not that one. Even so, this is a popular place for the locals. Some expatriates even frequent this place. That night when I was there, there was a French family dining at a table nearby. And they were later joined by more of their friends from France. From their conversation, it was apparent that they are regulars at this eating place. The Boat Noodle Restaurant is supposed to be famous for their Boat Noodle. But apparently, they are much better at their meat dishes, especially the barbecued meats. 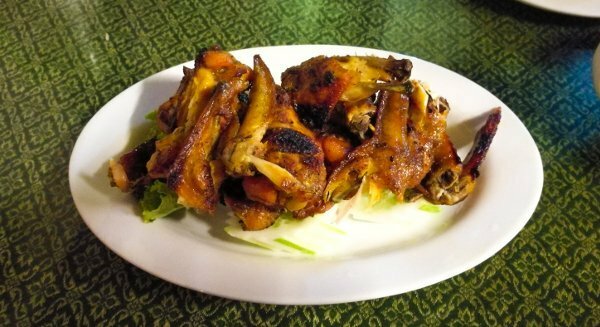 We ordered the barbecued chicken wings, local salad with minced chicken, and rice. My friend had his favorite coconut juice freeze. And I ordered the avocado juice freeze, which was very delicious! Before I arrived, my friend sent me pictures of the barbecued chicken wings they server here. They looked delicious. But that rainy night, when we ordered the same barbecued chicken wings, they looked a little sad. The taste was all right. But not fantastic. And they were served cold. We later found out that it was because of the heavy rain. Usually, their chef would barbecue the chicken wings in the open, and only when someone ordered the wings. But because of the rain, they could not do that. And before the rain came, he quickly barbecued what he could in preparations for later orders throughout the night. Not ideal. But I have learned that when you are in a foreign country, you have to learn to accept their ways. This is how they handle the heavy rain situation. Travel Tip: If it rains, go to another place to eat. Come back here when the weather is fine. The salad was not quite to my taste, too. I guess I was used to the tangy taste of Thai salads that I had in Thailand and in Singapore. 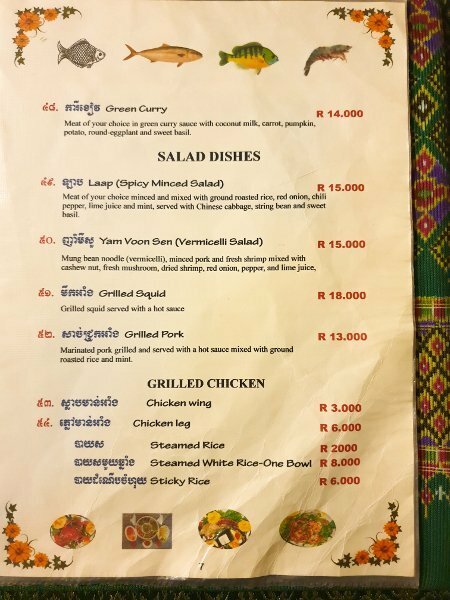 The salad in Phnom Penh did not have that zing to it. It was quite mild in flavor to be honest. And it was, to me, quite soggy. The vegetables in the salads in Thailand and Singapore were fresh and had a little bit of crunchiness, which I enjoyed. But this one here, the vegetables were wet and a little soggy. Not so much crunch to them. I was not deterred though. I thought it could be just this restaurant’s way of preparing this dish. I even ordered and tried the salad again at the Titanic Restaurant a couple of nights later. A waiter or waitress will seat you at a table. Then they will present you with a menu. Here are a few pages of the menu from this restaurant. As mentioned earlier, they serve both Khmer and Thai food. And in the menu, they divide the two types of delicacies in sections. 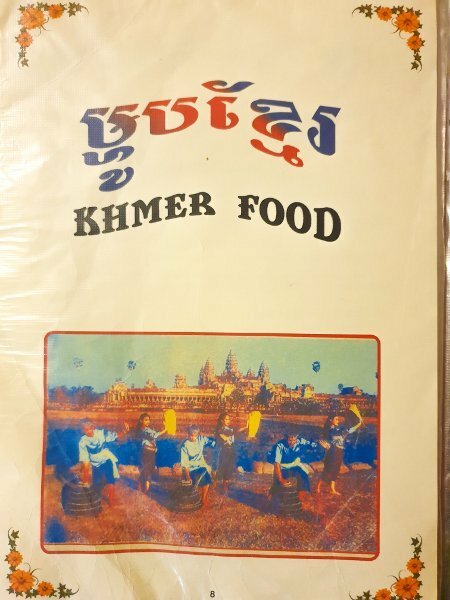 Before the range of Khmer Food, they have a sort of sub cover page to indicate that you are about to see Khmer dishes. Here is the page where we ordered our dishes from – the salad and barbecued chicken wings page. The ordering of the food is just like how you would order at any restaurant. Simply choose the dishes you would like to have. Wave to the waiter to indicate that you are ready to place your orders. Inform the waiter or waitress all the dishes you and your party would like to have. Then patiently wait for your food to arrive and enjoy! Travel Tip: Payment is by cash only. So have your US dollars ready. The meal we had (see image above) cost us USD13 only. To be fair to this restaurant, perhaps I visited on a bad day. To be fair to me, I have to give this place a two and a half rating because the food did not meet my standards. I love chicken wings, whether deep fried or barbecued. Or even sauteed and steamed in some gastronomically delightful sauce. But the chicken wings that night failed totally. Even my friend who frequent the place seemed a little surprised that the chicken wings looked and tasted so poorly. He commented that it was not like the usual standard that he was used to. Some people may like the salad. But I really did not enjoy it. There just so much water. And the taste was so mild. I did read from other reviews that the meat dishes are the best here. So, maybe on a less or no rain day or night, this could be better? For now, I have to go with what I have experienced. And that is this place did not serve good food. The place was charming. But a little cluttered. 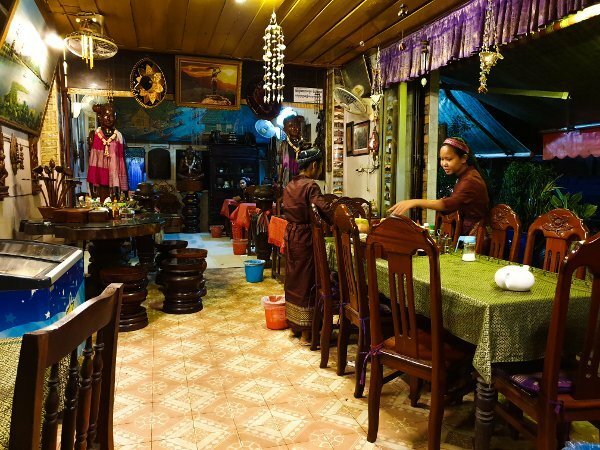 The art, handicrafts, and furnishings do make the place feel very local. But at the same time, because of the Thai influence, it was a little confusing. 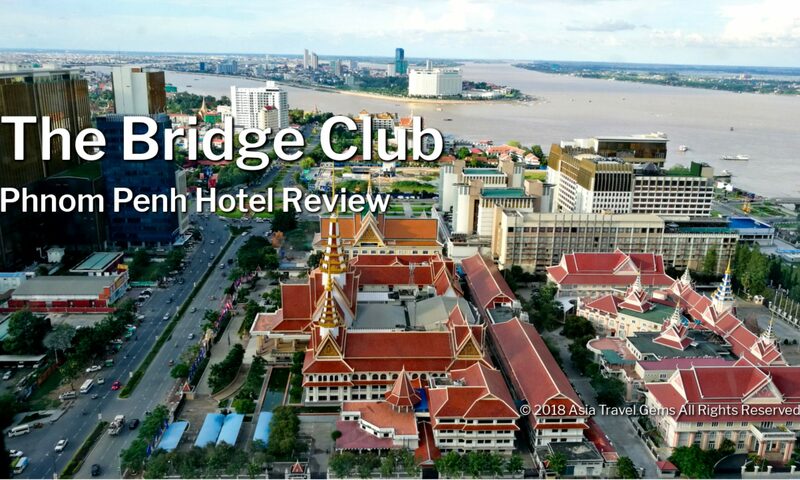 I stayed at The Bridge Club Hotel, and it was just a short tuk tuk ride to the Boat Noodle Restaurant. So, if you are staying in the city or near the city, the tuk tuk might be the choice of transport. Check with the hotel you are staying at to confirm. Or if you are going to stay at The Bridge Club, then you are assured it is nearby. You could travel by foot. But it might take hours, depending on where you are staying at. So, unless you are staying very near, I suggest to take the tuk tuk. This is the best and most economical way to travel around Phnom Penh. It is very cheap and affordable. For example, a short ride, about 10 minutes to the Boat Noodle Restaurant cost only USD1 plus. I highly recommend traveling around the city via this mode of transport. There is no train system within this city. There are buses. But the tuk tuk is so much easier and can bring you there faster. If you drive, you can take a look at the map above, and navigate your way there. Car park space may be an issue though. There are taxis. But most people use Grab now. See below. To be honest, I traveled most of the time in tuk tuks. Occasionally, by Grab. So, I have no idea how the taxis work here in Phnom Penh, Cambodia. Grab has taken Asia by storm. Phnom Penh is no exception. When I arrived, I booked a car by Grab that drove me to The Bridge Club Hotel. It was so easy. All I did was pull out the Grab app. Then book a car. The car arrived, and I was brought to the hotel in less than 30 minutes (it was off peak hours, so no traffic jam). Grab is now my preferred option for travel when I need to move about within a city. It is so easy. There is no need to negotiate because the price is quoted via the app, and confirmed. The price is usually reasonable and affordable. No hassles. 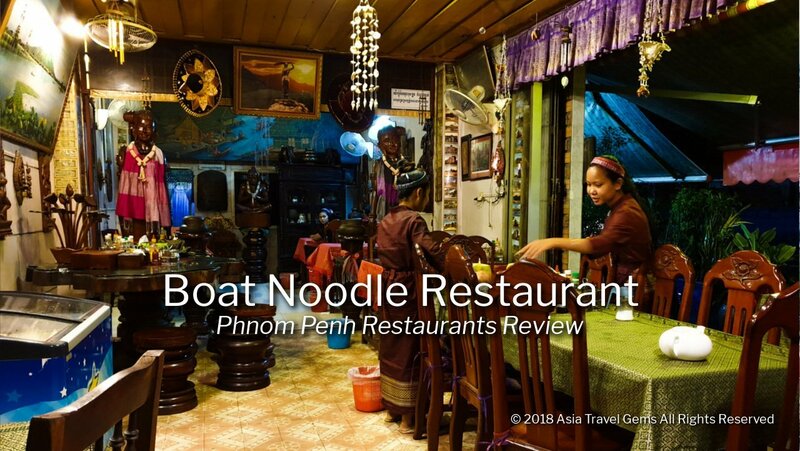 If you have ANY questions about this Phnom Penh Restaurants Review – Boat Noodle Restaurant, ANY at all, please submit your questions as comments below. I will be happy to help you out. It is quite a pity that the rainy day kinda got in the way of you getting a much better experience at this place. Fortunately for me and unfortunately for you though I’ll learn from this and probably go there only in good weather haha. Well written and informative. Thank you. Glad you will still give it a try. I still believe the place must serve good food. I simply went on a bad day. Before I even read the article you had me smiling, I really had a good feeling as soon as I read the name ” Boat Noodle Restaurant”, but then I was even more impressed with the beautiful interior and the meals appear amazing and tasty. I if I ever am able to travel this is one place I am putting on my dream traveling list to experience, I just hope they stay open until I am able to get there. 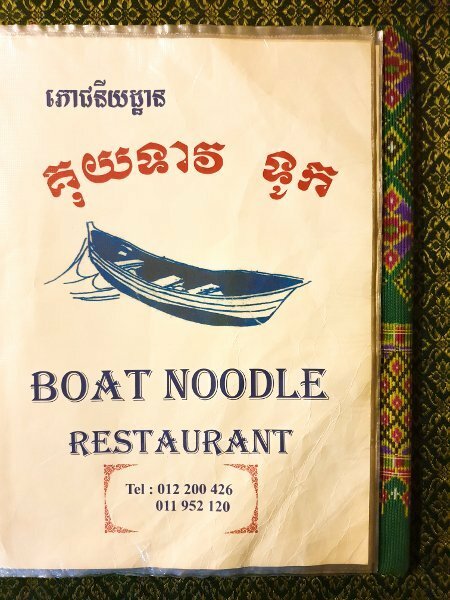 Yes, the Cambodians have their own version of Boat Noodle. The weather sure dampened the experience. And I agree that it was good for the experience. There are great food in Phnom Penh. I will be sharing about that soon. Watch out for the updates. I love reading your travel blogs and this one was also great! The pictures of the restaurant are beautiful. It is a shame that the time you visited there it was raining and apparently that makes a difference in barbecued wings, who knew! 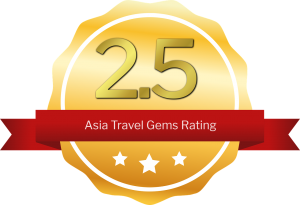 I hope you will have the chance to try it again and maybe your experience will rate higher than a 2+. Thanks for sharing this informative and colorful review! Very happy you love my travel blogs. More coming soon as I just returned from Hong Kong. I had been so busy working and at the same time visiting as many places as I could to gather more pics, more videos, and more content for Asia Travel Gems. So, very sorry for my late reply because of this. Yes, the barbecued wings were not so great that evening. Even my friend who frequented the place commented on how much better they were on other days. I might visit and give them another chance. But that may be along while away as I have so many more places to visit.